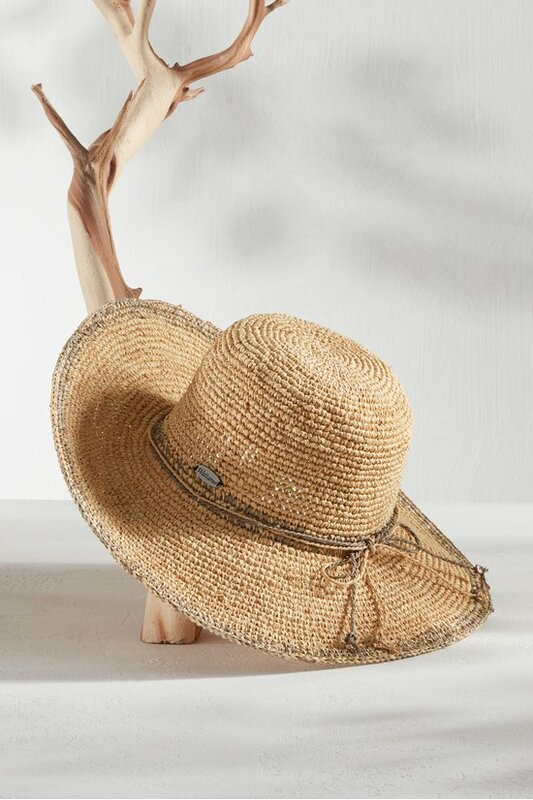 Beyond beach and garden, the straw hat refines itself for spring streetwear. Paired with a glorious pair of shades and a flowy topper, this finely-woven, contrast-color hat is perfection. Internal drawstring adjusts for fit. 23"crown circumference, 4-1/2" crown height, 4" brim width, 15" brim diameter.